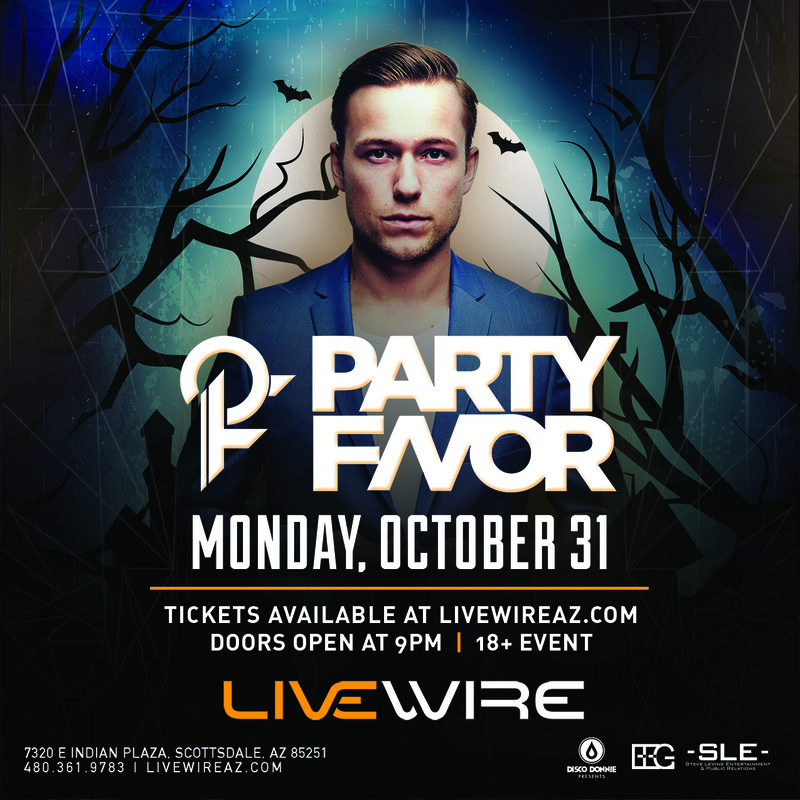 Los Angeles-based DJ and producer, Dylan Ragland, better known as Party Favor, is known for his remixes for top artists, such as Diplo and Dillon Francis, as well as his original productions and collaborations with well-known artists from all genres. His song, “Give it To Me Twice,” featuring Sean Kingston and Rich The Kid recently charted on the Spotify Viral 50 chart. Another one of his original tracks, “Bap U,” has amassed over 6 million plays on Soundcloud since its release in 2014. His latest EP, “Party and Destroy,” was released earlier this month. Doors open at 9:00 PM! General Admission, Standing. Livewire is an “open floor” venue to allow artists to connect with their audiences during performance. Under 18 permitted with a ticket AND must be accompanied by an adult with a ticket. No service fees for tickets purchased with cash at the Livewire Box Office. All tickets subject to the facility fee. Prices subject to change without notice.